I thought I’d try a somewhat new retopo approach for me. Usually I just retopologize the entire sculpt. This time however, I did it for individual parts of the sculpt, threw a quick UV layout on the new meshes and made some test bakes. 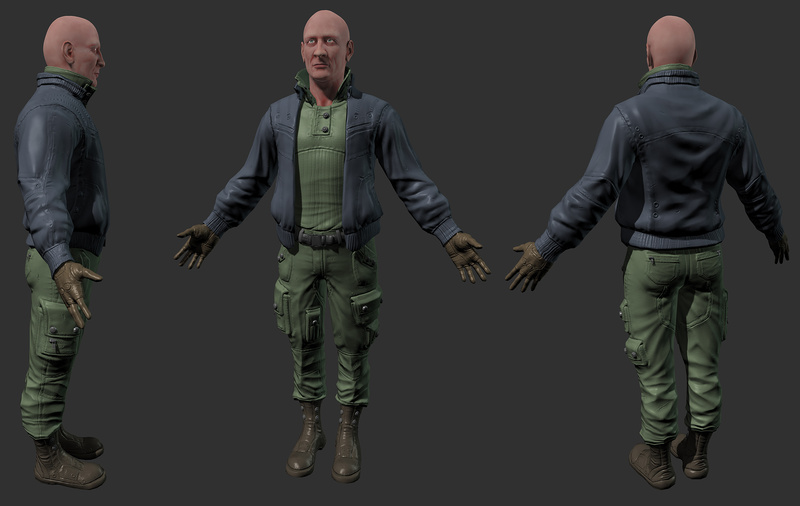 I’m nowhere near texturing him yet (except for the head, which is a solid starting point, I think), but put some flat colors on the shaders. I haven’t really thought about a color scheme yet, so they are very likely to change. I also tried another new thing for me. 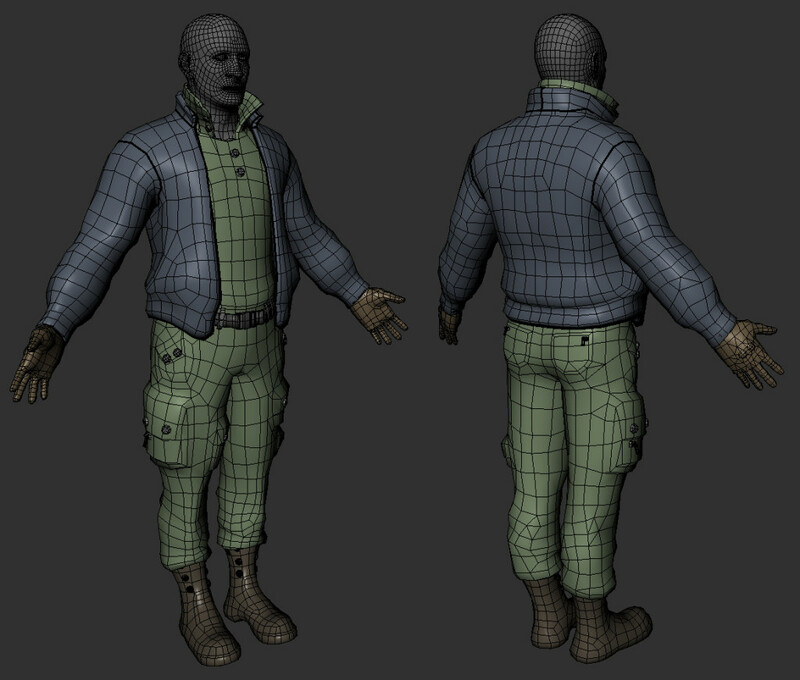 Using ZRemesher for more than just retopologizing sculpting geometry. It seemed tempting to me to let ZRemesher handle the folds, and then touch it up a bit in Maya, but I’m not too happy with how some of the geometry came out. This will require some more testing. This entry was posted in 3D, BLOG and tagged 3D, ZBrush on December 13, 2013 by Ralf.